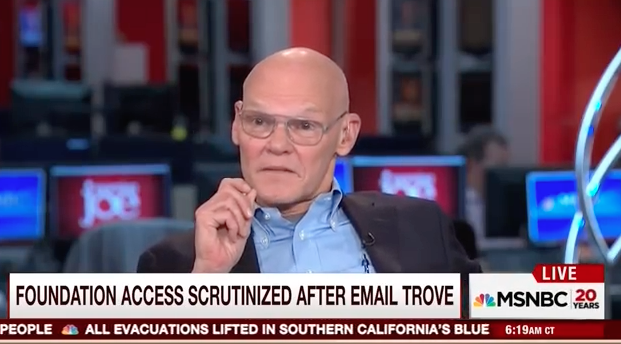 MSNBC’s Morning Joe panel, liberally tilted as usual, slammed Hillary Clinton Monday for repeatedly trying to justify her use of a private email server by comparing it to former Secretary of State Colin Powell’s occasional use of a private email account. Co-host Mika Brzezinski, who plans to vote for Clinton despite her concerns about the email scandal, said that Powell took great care in his handling of his emails compared to Clinton. 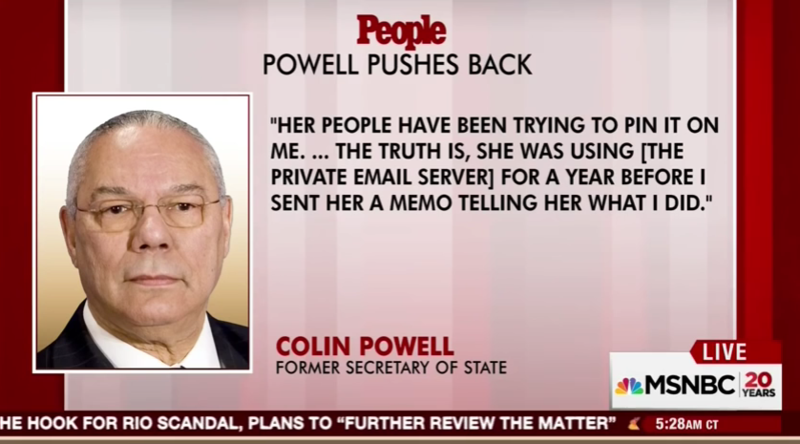 Maybe Clinton thought that since Powell voted for Obama twice, he wouldn’t mind being her email scandal scapegoat, but she guessed wrong. Powell showed that he doesn’t want his reputation sullied by a secretary of state who willfully subverted the system for her own personal gain.